LaBell Exchange is Pomona's trusted source for professional call center and telephone answering services. With almost forty years of experience in the telecommunications industry, we've served Southern California customers in nearly every industry: municipal, property management, equipment rental, towing, plumbing, HVAC, healthcare, hospice, legal, and many others. Whether you're a single-person entity or a multinational corporation, our answering services are always personalized to meet the unique needs of your Pomona-based business. For information and pricing on our customizable service plans, call LaBell Exchange today. Our call center has won ATSI's Award of Excellence for seven years' running and we have thousands of satisfied customers. With our competitive prices, cutting edge telecommunications technology, and team of highly trained and customer service-oriented phone operators, we offer an unbeatable value to companies in Pomona. Our services are available 24 hours a day, 7 days a week, and include emergency dispatching, order taking, message delivery, information screening, inbound telemarketing, virtual receptionist, reservation/schedule management, and voicemail services. LaBell Exchange provides comprehensive voice mail services to businesses in Pomona. We can either set up a basic voicemail account for your company with a personalized greeting, or design voicemail services for your unique business needs, such as voicemail trees, custom hold prompts, remote-access and password-protected features, and more. Our voicemail service is included in our phone answering service plans and can be altered at any time to accommodate your needs as your business changes or grows. Our live operators can answer phones, take messages, schedule appointments, and more as your virtual receptionist. 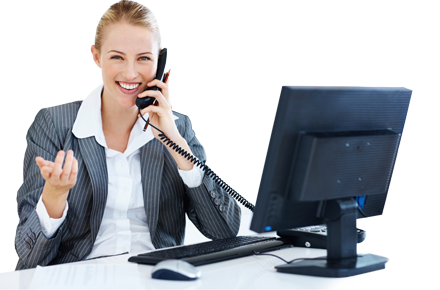 A popular and cost savings solution for many businesses in Pomona, our virtual receptionist services are especially useful for single-person or start-up entities that wish to present themselves as a larger or more established business. At LaBell Exchange, our talented staff has guided callers through all kinds of surveys, including in the medical, municipal, educational, legal, service, and marketing fields. We'll work with you to create custom scripts for your survey and use only the latest phone answering technology to administer them. Our clients in Pomona, California, are provided with numerous message and order taking options to meet their specific business's needs. Orders, for example, can be ordered directly into your company's website application or content management system, or entered into custom forms within our own system. These orders can then be forwarded to you (or a specified designee) instantaneously or in batches. 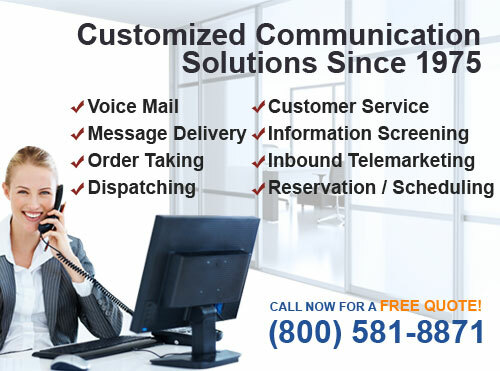 We provide advanced message delivery services at our call center, and can deliver your messages via telephone, fax machine, text message, or email. Our staff will customize your account to meet the message delivery needs of your company or organization in Pomona, and we'll integrate additional services as you require. LaBell Exchange provides dispatching services for businesses in Pomona and throughout Southern California. This service is ideal for those companies with service technicians who are constantly out in the field and that want to have the flexibly to automatically respond to customer needs. Our operators can be trusted to follow your script and dispatching protocols, and connect with your employees via radio or cell phone to provide them with all the details they need for their next assignment. Our call center is a seven-time recipient of the prestigious ATSI Award of Excellence. Awarded by our industry's national trade association--the Association of TeleServices International (ATSI)-this award is given in recognition of our exemplary customer service, courtesy, and responsiveness. Customer service is always at the core of all our answering services, but can also be the primary purpose of your call center needs. Our operators are capable of answering your calls 24 hours a day, handling spikes in call volume, and presenting themselves as part of your customer service department. Particularly for Pomona-based businesses that promote their services widely via web, tv, radio, and print advertising, screening callers can be a key component in the success of their lead generation efforts. At LaBell Exchange, we'll work with you to train our operators on how to answer your calls and screen clients using a detailed script. We'll make sure that we only forward calls that meet your criteria and even alert you to those that require immediate attention. We can also answer frequently asked questions, take messages, and forward calls to appropriate departments when further information is required. Our call center services include inbound telemarketing. This service makes it possible for even small businesses to run large marketing campaigns and handle the expected increase in call volume and orders. We keep our call center staffed 24 hours a day with highly trained and experience phone operators. They can be counted on to follow your script, take accurate orders, and answer customer questions when needed. 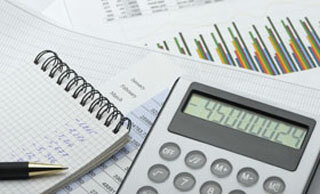 We can also provide call analytic reports to help you gauge your project's success. At LaBell Exchange, we're experienced in performing schedule and reservation management work for conferences, campaigns, seminars, and more. Our telephone operators can manage your calendars for your business in Pomona, California, as well as integrate additional answering services into your call center account. LaBell Exchange has provided skilled call center and phone answering services for attorneys in Pomona, California, since 1975. Our attorneys come from a wide array of specialties, from criminal defense to personal injury to class action lawsuits. In each case, we keep all attorney-client communications strictly confidential and secure, and tailor our services to meet their unique needs. Our Pomona-based law firms have hired our call center to serve as their virtual receptionist, to screen callers to ensure they meet certain criteria, and to provide general phone answering and voicemail services. Our call center is available 24/7 to answer phones for your office, take messages, schedule appointments, and keep callers on the line until contact with the attorney is made. Our award-winning call center works with many property management companies across Southern California, including those in Pomona. We provide them with a wide range of phone answering services, including virtual receptionist services, 24/7 dispatching, call routing, advanced message delivery, voicemail, information screening, and more. Of particular importance to our Pomona property managers is our ability to take and forward messages; handle after hours emergency calls; and respond to prospective tenants. We make it possible to customize greetings, set up voicemail trees and automated responses, forward messages according to your preferences, schedule viewing appointments, and more. Call today to learn more. We provide superior call center service for our commercial clients in Pomona, California. The companies we serve are wide ranging and diverse, including customers in the medical, dental, municipal, bail bonds, plumbing, HVAC, towing, and equipment rental industries. Whether you need a full-time virtual receptionist for your small business or want to conduct a seasonal marketing survey over the phone, our company has the experience, technology, and skill to assist you on your call center projects. Open 24/7, we're there to answer your calls at any time. Our staff includes bilingual phone operators (English and Spanish speaking), and we also have access to a third party translation line. Property Management Your browser does not support the audio element. Doctors Your browser does not support the audio element. Our office is very pleased with the service to our patients and colleagues whenever we are not in the office. The 24/7 coverage meets all our insurance requirements as well.